Those Pacers teams that gave the Heat so many problems in the playoffs for 3 straight years, but never quite enough of them have been dismantled and only a collection of (mostly) fond memories remain. Goodbye, Blue Collar. And (please, please, please, finally) goodbye, Gold Swagger. 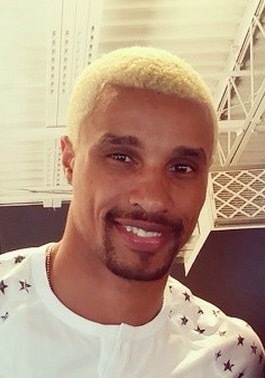 Hill with blonde, Chris Brown hair. Lance Stephenson, is long gone; first, to Charlotte and now, to the Clippers. The Master of Verticality, Roy Hibbert, was traded away to the Lakers for a 2019 2nd-round pick (or basically traded away so the Pacers could squeeze Rodney Stuckey, Jordan Hill, and Chase Budinger in with the new cap space). The heart and backbone of the team, David West, gave up $11M for a chance at a ring with the Spurs. Even the remaining starters have changed: Paul George has a new leg, a new number, and perhaps a new part-time position at PF. And, George Hill, well don’t get me started on his new look pictured on the right. So, let’s take a moment to remember one of the best Indiana Pacers squads in their NBA history with a list of my favorite moments from each of that dominant starting five. 1: George Hill: First up, the point guard: You can’t beat this, but my favorite moment for George Hill has to be the game against Portland in 2013-2014 when he went back and forth with Damian Lillard and bested him with 37 points, 8 assists, and 9 rebounds in an overtime victory. The game-tying three with under 10 seconds to go was especially glorious. 2. Lance Stephenson: Oh, Born Ready. I miss many things about Sir Lance’A’Lot including his triple-double chasing, terrible flops, penchant for meme-making moments and monster drives to the rim. There were many moments to chose from with Lance from his 25-point performance to clinch a series over the Knicks to the three at the buzzer over Wade at the end of the third quarter, but my favorite has to be the best pass I’ve ever seen: an in-air behind-the-back pass made to a wide open C.J. Watson for a corner three. The best part about Lance is how much fun he has when he plays the game, and I hope he gets back to having fun this year with the Clippers. 3. Paul George: Lots to choose from the Pacers star player, Paul George. So many to choose from in those Heat series. The blow by on LeBron that led to the Birdman posterization, the dunk over Bosh, consistently holding his own against LeBron. The game-tying 3-pointer in the 2013 opening game of the ECF that sent the game to overtime is the tops. The ultimate what if game for the Pacers when they ended up losing to a LeBron layup in overtime after Vogel took Hibbert out of the game and then lost the series in 7. 4. David West: My favorite David West moment is when he decided to sign with the Pacers as a free agent for 2 years and $21 million, turning down the Boston Celtics in favor of a franchise on the rise in Indiana. Without Mr. West, these teams never would have amounted to much. 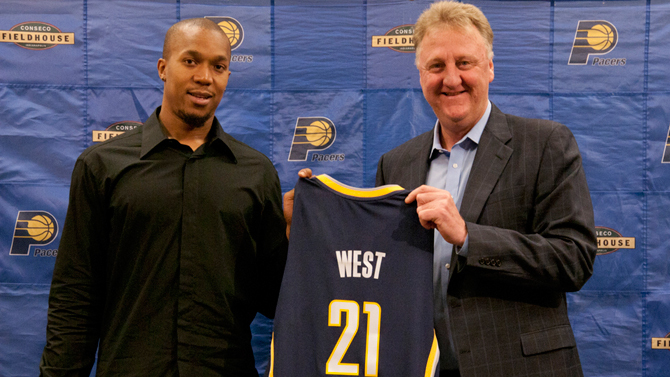 That’s why this era of Pacers basketball will always be the David West era. He changed the culture with that decision, and the Pacers can only hope that the same winning culture will remain now that he’s gone. 5. Roy Hibbert: So many great memories for the Big Dawg in a Pacers uniform that I’ll always remember him fondly for. Still a top rim protector in the league, and there’s no better choice for his top moment that his block on Carmelo Anthony that changed the momentum of that game 6 and clinched the Pacers series victory over the Knicks. What’s your favorite moment from these guys?